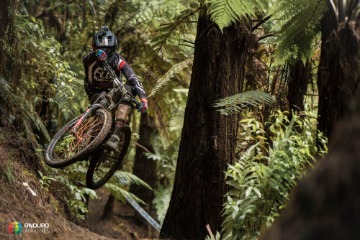 The 2019 Enduro World Series (EWS) returned to the hallowed trails of Rotorua to kick start the 2019 season with the Giant Toa Enduro presented by CamelBak, the closing act of this year's Crankworx. 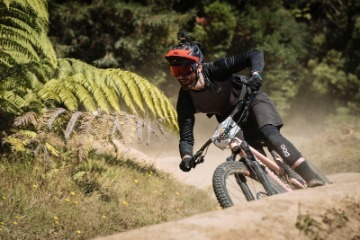 After two days of dry, dusty practice, competitors awoke on Sunday to some welcome rain, firming up the trails nicely and setting the scene for the first big showdown of the year. All that lay between the athletes and glory was 60km of riding and five big stages of racing. 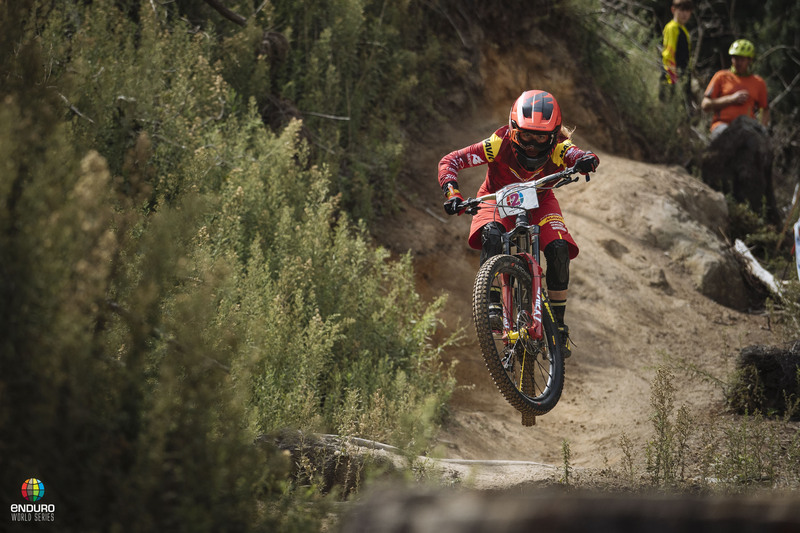 With reigning Champ Cecile Ravanel (Commencal Vallnord Enduro Race Team) sidelined due to injury, Isabeau Courdurier (Intense-Mavic Collective) took control of the race from the start, taking all but one of the stage wins and claiming victory in the process. However, it was fellow Frenchwoman Morgane Charre who was to deny her that clean sweep of the stages and although she pushed Courdurier to the wire, she ended the race five seconds adrift and in second place. Bex Baraona (Ibis Cycles Enduro Race Team) scored her first EWS podium in third - just 0.16 seconds behind Charre. 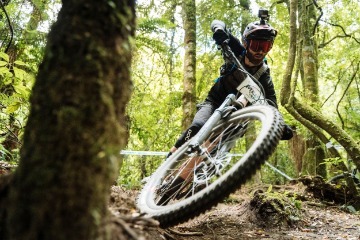 “My expectations were super low, I just wanted to go out there and have fun on my bike and leave Rotorua feeling happy. So I am definitely stoked to see that I am able to race here and do a very good result. It was a hard battle,” said Courdurier. In the men's competition Martin Maes (GT Factory Racing) stamped his authority all over this race from the start - winning all five stages to finish with an outstanding 24 second lead over second placed Keegan Wright (Unior Devinci Factory Racing) - a career best for the young Kiwi. 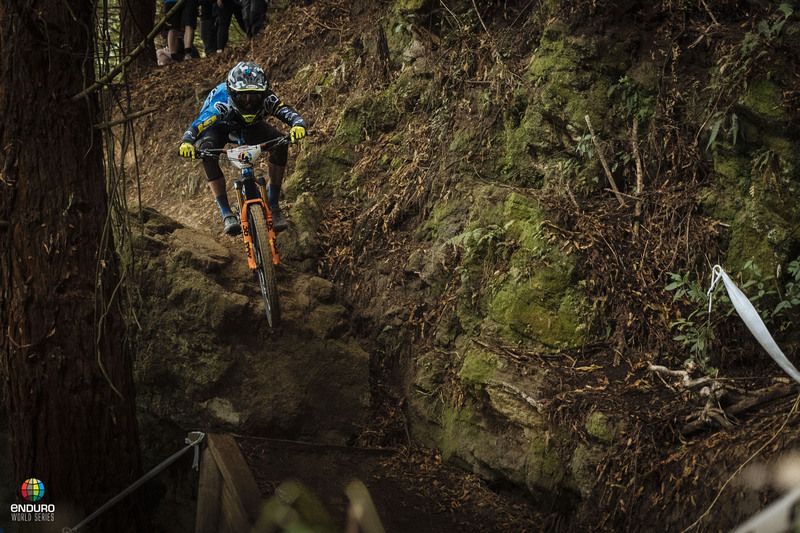 Canyon factory Racing's Florian Nicolai put in a strong performance to take third. Speaking at the finish line Maes said: “A great race for me, I didn’t really expect to be so dominant today but I think I have been extremely smart on the bike and managing my energy well. With all the changes we’ve done on the bike, it seems like it’s paying off." Team of the day went to GT Factory Racing, with Martin's win being backed up by solid perfomances from team mates Noga Korem and Wyn Masters who placed fourth and eigth in their repsective categories. 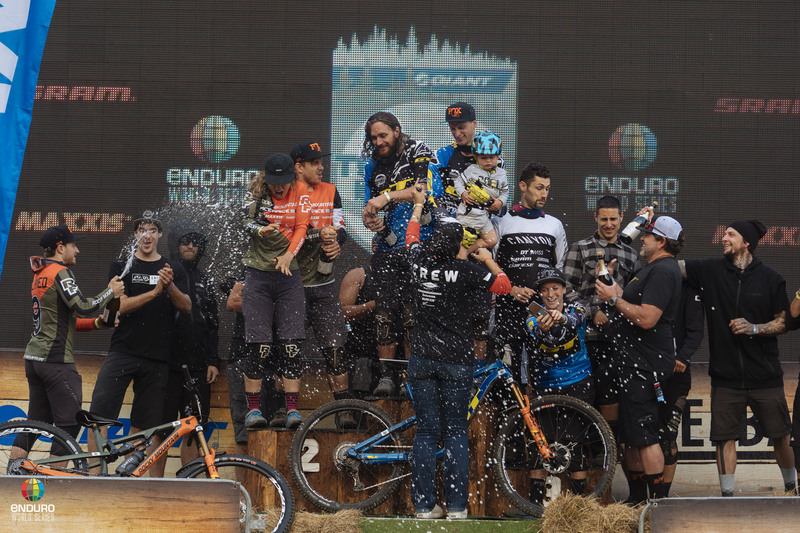 Team Rocky Mountain took the second spot on the podium and Canyon Factory Racing third.